The Bank of England has made progress in its aim to operate in a more unified way following its expansion. More is needed to embed cultural change and deliver long term data projects. "Clear responsibility for delivering the strategy and consistent leadership has enabled the Bank to make progress towards building 'One Bank', delivering many of its specified actions, most notably in relation to the organisation and reward of its staff. Some of the more challenging elements, however, such as embedding cultural change and delivering significant data projects will require a longer-term sustained effort. To build on its successes to-date and deliver value for money in the longer term the Bank will need to focus on these issues, with better scrutiny of costs up-front and greater clarity on what it wishes to achieve”. 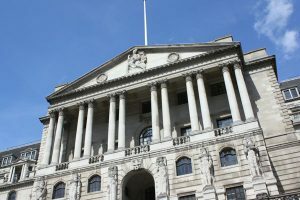 Following an increase in its scale and remit, the Bank of England has made good progress under its ‘One Mission, One Bank’ strategy, according to the National Audit Office. There remains, however, more for the Bank to do if it is to fully embed the cultural change it is seeking and maximise the impact from the strategy. In March 2014, following an expansion in its responsibilities and number of staff, including the creation of the Prudential Regulation Authority (PRA), the Bank launched its three-year One Mission, One Bank strategy to bring together various parts of the expanded Bank into a more unified, single institution. The Bank developed a well thought through strategy based on a clear diagnosis of the issues to be addressed. In most cases, there was a link between the Bank’s action plan and the initial diagnosis of the issues to be tackled. In order to tackle a lack of staff mobility, silo working and the need for better talent management, for example, the plan included action to harmonise terms and conditions and improve performance management. Clear responsibilities for delivering the strategy were established before it was launched, along with effective arrangements for tracking progress. By March 2017, the Bank had reorganised its operations and delivered most of the actions intended to contribute to creating ‘One Bank’. This included a staff reorganisation aligned to the strategy which resulted in 700 staff moves within and between the Bank’s London offices. Several teams were integrated, and duplicating and overlapping functions removed. There have, however, been delays in delivering new data architecture. The Bank committed to build new IT systems, over a four year period, to allow for better use of its numerous data sets which turned out to be much more complex than expected and final completion is now not due until February 2019. The NAO also found some shortcomings in how progress was reported against these actions. While the Bank’s progress reports had flagged delays to this initiative during 2016, the overall RAG (red/amber/green) rating did not turn red until December 2016. The estimated cost of delivering the strategy set out in the initial plan was incomplete but actual costs are likely to be below initial estimates. When the strategy was signed off by the Court of Directors, the initial budget was an estimated £88.5 million. However, this did not include the cost of delivering two initiatives, which had already started (totalling £31.5 million) and the cost of organisational changes associated with the strategy. The estimated total initial budget, inclusive of all elements, was £120 million. Forecast expenditure by the end of February 2019 is now expected to be £94.9 million, significantly below the total initial budget. The forecast reduction follows further scoping work that indicated less resource would be required. The Bank developed over 100 measures of progress, but could have done more to focus on the outcomes expected, and identify which measures were key. In a number of instances – with diversity targets being an exception – the Bank did not quantify the degree of improvement anticipated for the investment involved. Progress has been made in delivering some of the outcomes envisaged at the start of the strategy. On diversity, by November 2016 the Bank was on course to meet all of its targets, apart from its target relating to the number of Black, Asian and Minority Ethnic staff in senior grades. The Bank needs to make further progress if it is to match, for example, diversity levels in the civil service. The Bank has also made significant progress, according to staff surveys, in reducing the more negative outlook amongst former PRA staff which was present at the start of the strategy. It has also improved the standing of its research on the international stage, rising from 19th to 11th place in the central bank ranking for its research. The Bank has begun to change some aspects of its culture, but has further to go, particularly in terms of empowering staff and streamlining decision-making. The 2016 staff survey, for example, suggested that staff’s perceptions of collaborative working had improved. External stakeholders consulted by the NAO identified improvements in the way expertise was brought across the Bank to address issues. In five of the six Governorships, however, less than 50% of staff responding to the Bank survey agreed with the statement “decisions are made at an appropriate level within the Bank”. External stakeholders commented that the Bank appeared hierarchical with staff wanting at times to refer back to managers even when dealing with less sensitive issues.